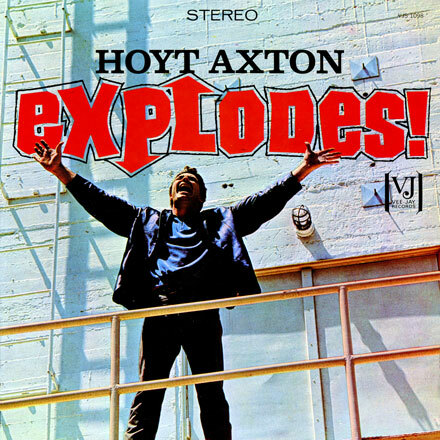 I come to you today with something very groovy (and unexpected) from the mighty Hoyt Axton. Axton is one of those really interesting personalities who is known to a very wide constituency as either a musician, songwriter or actor (or any combination thereof). Axton was born and raised in Oklahoma, then settled on the West Coast after a stint in the Navy. 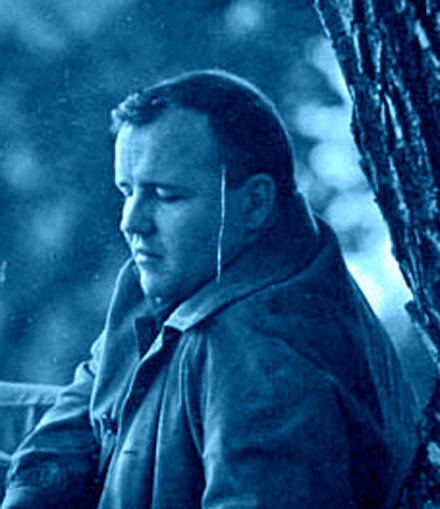 He started working as a folk singer in coffeehouses, and had his first success when the Kingston Trio had a hit in 1963 with his song ‘Greenback Dollar. Aside from any success he had on his own as a performer, his songs preceded him into the public consciousness by other people’s recordings, such as Steppenwolf (the Pusher, Snowblind Friend), Three Dog Night (Joy To the World, Never Been To Spain) and Ringo Starr (the No No Song). 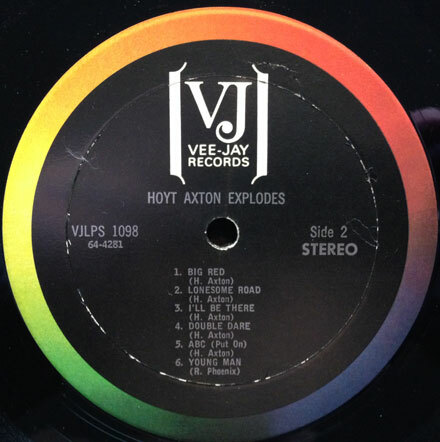 Axton recorded steadily through the 60s and 70s, and the tune I bring you today hails from one of his earlier (and very interesting) albums, 1964s ‘Hoyt Axton Explodes’. This seems to be one of those records where the record company and/or the artist himself were trying to make a stab at the pop/rock market, transforming Axton from an acoustic balladeer to an out and out rocker. Though recorded in 1964, there are many spots on the album that bump right up against an early garage/au go go sound, and the best of these is ‘Double Dare’ (aka ‘Double Double Dare’ as it is listed on the 45 release). The song has a combo organ and guitar and bass foundation, with Axton singing in a rockabilly goes freaky voice with an exaggerated vibrato applied to his voice, interspersed with little screams and squeals. It’s a pretty wild sound and completely unexpected if all you know of Axton is his amiable, bear-like persona from TV and movies. The 45 of ‘Double Double Dare’ is sought after by garage heads and can be kind of expensive. The LP is much easier/cheaper to put your hands on, and is definitely worth picking up. I picked up the 45 you see before you today a while back on the strength of the title of the A-side, ‘Boo-Ga-Loo Baby’, because I am constitutionally incapable of passing up a 45 with the word “boogaloo” in the title. When it finally fell through the mail slot and onto the turntable, I was shocked to discover that what I had was not a soul 45 but in fact a garage pop thing with a spooky, vaguely psyche thing on the flip. I started out into the wastes of the interwebs to see what I could discover about the record and encountered a couple of nice surprises. 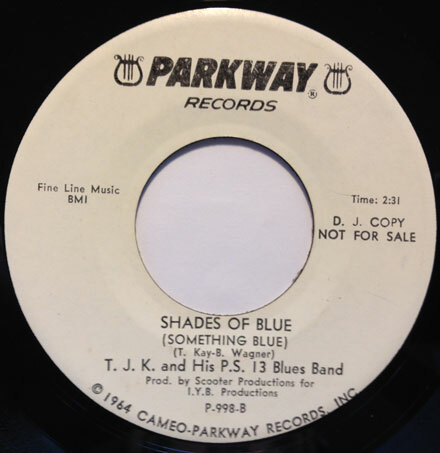 As it turns out, TJK and his PS13 Blues Band were a one-off studio project of a cat better known as Thomas Jefferson Kaye. Kaye was a songwriter, producer and performer who got his start writing all kinds of pop and soul things for other people. He made his way into the studio in 1967 and laid down this 45 (I have no idea who was playing with him). As it turns out, today’s selection (written by Kaye) had already been recorded the year before, by none other than the Shirelles! Their version is a tiny bit more major key/upbeat, almost to the point of being danceable. It keeps the slightly ominous middle section, though theirs is less moody and more forceful. The Shirelles were recording a lot of interesting things in their later period (done largely away from the charts) and this is one of their best. The version by TJK and his PS13 Blues Band opens with a gently picked acoustic guitar, soon joined by a tremolo-soaked electric. Kaye’s vocal, backed by mallet-played drums and a piano (or is it a celeste?) helps to create a gentle, slightly dark mood, and when they get to that middle section, they’re teetering right on the edge of psychedelia without falling all the way in. It all makes for a very interesting 45 that ought to be better known. Interestingly, Kaye placed songs with a bunch of soul acts in the 60s, including Chuck Jackson, Maxine Brown, Judy Clay and Candy and the Kisses (all by virtue of his work as a kind of ‘house’ composer for Scepter/Wand), as well as co-writing one of my favorite sunshine pop sides, the Sunshine Company’s ‘Love That’s Where It Is’ and the Barbarians snot-fest ‘Hey Little Bird’. 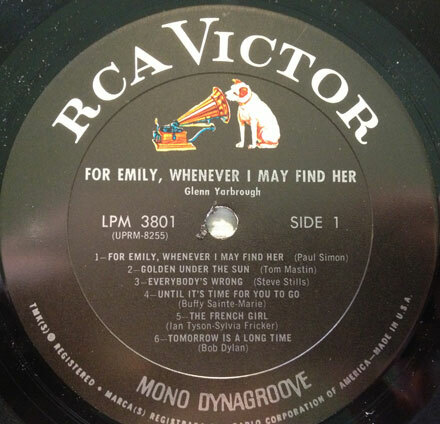 He went on to produce Gene Clark’s 1974 classic ‘No Other’ LP. 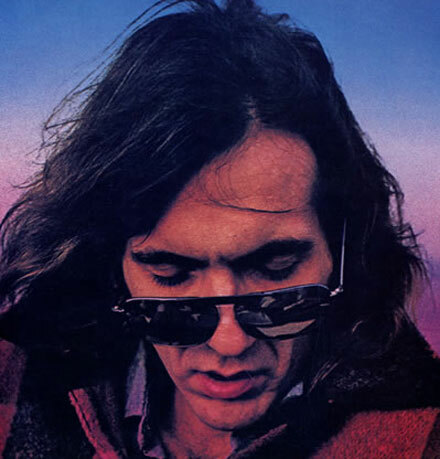 As if his position as a kind of rock’n’roll Zelig was secure enough, his own 1973 solo album was produced by Steely Dan producer Gary Katz and featured both Donald Fagen and Walter Becker as backing musicians and songwriters. Kaye was apparently plagued by disease and substance abuse, and passed away in 1994. I should start by reminding you that the Iron Leg Radio Show podcast is now available in iTunes, so head on over there and subscribe! We have a cool one for you this month, with a long set of Sonny and (solo) Cher, a set of very cool mid-60s Brazilian pop and rock, and some new arrivals. NOTE: Before we get started, please note that the Iron Leg Radio Show is now available in iTunes, so get on over there and subscribe! 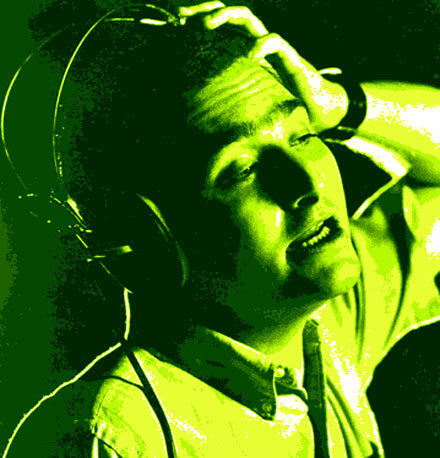 To people of a certain age, Randy Newman is little more than the adenoidal delivery system for the soundtracks to Disney/Pixar movies like Toy Story, A Bugs Life and Monsters Inc.
To their parents, he’s the guy that had a huge novelty hit with the acerbic ‘Short People’ in 1977. Those people, well, there’s a slight possibility that were they fairly hip, they might have owned some of Newman’s early records, or would at least be familiar with covers of his more famous songs, like ‘Mama Told Me Not To Come’ (a hit for Three Dog Night) or ‘Simon Smith and His Amazing Damcing Bear’ (a hit for Alan Price in his post-Animals career. Among that group exists a very small subset of people that knew of Randy Newman’s early work under his own name (as opposed to a bunch of very early work writing and or arranging songs for artists like Jackie DeShannon, Irma Thomas, Lou Rawls, the Walker Brothers, the Tokens or Judy Collins) and maybe, just maybe owned his 1968 debut LP. Newman was born and raised in Los Angeles, where three of his uncles, Lionel Newman, Alfred Newman and Emil Newman were all Hollywood film composers. He had his first break as a songwriter when the Fleetwoods recorded ‘They Tell Me It’s Summer’ in 1962. Over the course of the next five years, his songs were recorded by a wide variety of performers (including those listed above) and before he ever recorded a note (aside from a weird 1962 novelty called ‘Golden Gridiron Boy’) his extremely distinctive compositions preceded him in the world. Newman went into the studio with Van Dyke Parks (with whom he would collaborate on the opening track to Parks’ 1967 LP ‘Song Cycle’, with Newman writing and arranging ‘Vine Street) and made his own recordings of his songs. 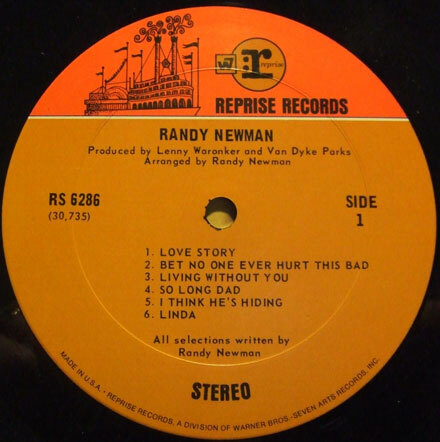 This Randy Newman is a far cry from what most people are familiar with today. Though the dark humor of some of his later solo work (i.e. ‘Davy the Fat Boy’) is already present, much of the album sees his sophisticated melodies wrapped around lyrics that alternate between stark confessional and arty pastiche. It wouldn’t be unfair to say that Newman was making music pretty much unlike anyone else at the time (Parks excepted), which is probably why not a whole lot of people were listening to it (the musical hive mind not yet having settled in on the idea of a literate, baroque singer/songwriter) . His self-titled album didn’t make it into the Billboard Top 200, and until he started to break through as a singer-songwriter a few years later, it was all but forgotten until it was reissued with the different cover (the original features a collegiate looking Newman, surrounded by pieces of sheet music and a pencil) in 1974. The two songs I bring you today went onto to be among his most covered tunes. The first, ‘I Think It’s Going To Rain Today’ was originally recorded by Julius LaRosa (?!?) in 1966, and appears on countless albums in the late 60s and 70s (there are well over 60 versions) by people as stylistically far reaching as Jack Sheldon, Peggy Lee, Leonard Nimoy, Cass Elliott, Dave Van Ronk, and Manfred Mann. ‘I Think It’s Going To Rain Today’ is – depending on how you choose to read it – either an extremely dark expression of depression and pessimism, or a frame around a glimmer of hope. The beautiful arrangement (by Newman) and delivery suggest the first. It’s not hard to imagine why someone would have signed and recorded Newman, since his songs are brilliant and his talents as an arranger are remarkable, but you have to wonder if anyone, who wasn’t running a slow boil on hallucinogens thought that anyone was going to buy it in a year filled alternately with hippy sunshine and bad trips. Even today – no matter how beautiful and finely crafted it is – it still seems like an acquired taste. ‘Living Without You’ is another dark one, a letter of loss written for someone that probably isn’t going to read it, by someone writing it with his tears. That Newman was a performer of (very) limited vocal range was immaterial, since his voice was perfect for his songs, which were also classic enough to give themselves over to the wide variety of singers mentioned above. Listening to this album makes me wish that the singer/songwriter wave had carried more people like Randy Newman with it, instead of flooding the airwaves and the bargain bins with longhaired guitar strummers, stacked up like so much cordwood.